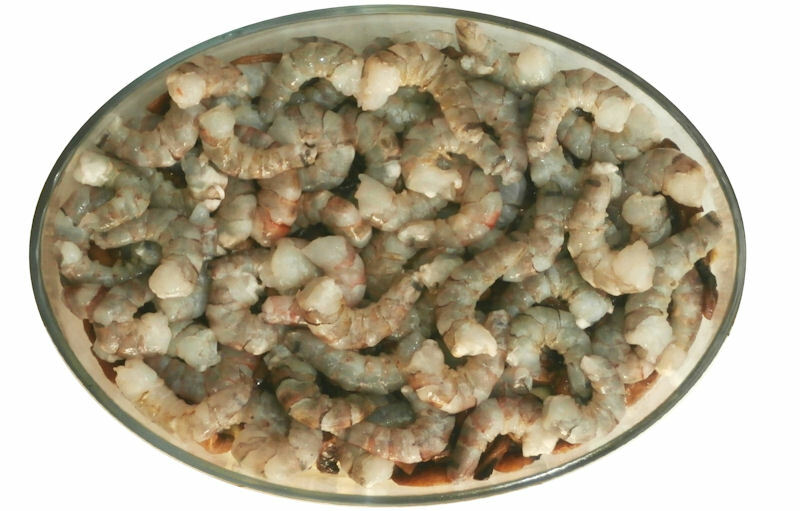 800 grams (almost 2 lbs) large raw shrimps (e.g., "tiger" shrimp), peeled and deveined. Do not use cooked shrimp! This is about 60 shrimps of size/count "31/35", slightly less if size/count "26/30". I usually get the best deal at the local Asian supermarket. make sure to get fresh mushrooms, so you only have to remove a sliver of the bottom of the stems. There are about 450 cheese varieties in Switzerland. American "Swiss Cheese" has nothing to do with Switzerland and is an inferior, tasteless product of the "cheez-wizz" category. Use real cheese! Use a clear glass oven dish, so you can check if the sauce is boiling underneath and all the way around. This is also the serving dish. The dish has to be large enough so you can completely cover the bottom with the artichoke hearts, without having to put them on top of each other. Slice the artichokes lengthwise into 2-3 pieces, and cover the entire bottom of the baking/serving dish. Heat the olive oil in the frying pan. When the pan is hot, cook the sliced mushrooms until well browned all all liquid has evaporated. Stir (or flip) regularly, such that all mushrooms get browned on both sides. The volume of the mushrooms will be reduced by at least 50! 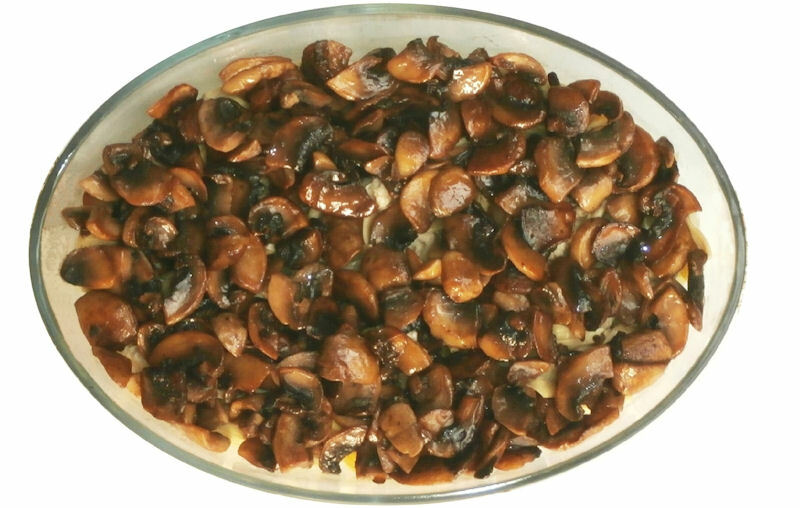 The pan has to be big enough such that the mushroom slices are not piled up too much, and get steamed instead of cooked. Cook the mushrooms in three batches! Takes about 15 minutes per batch. 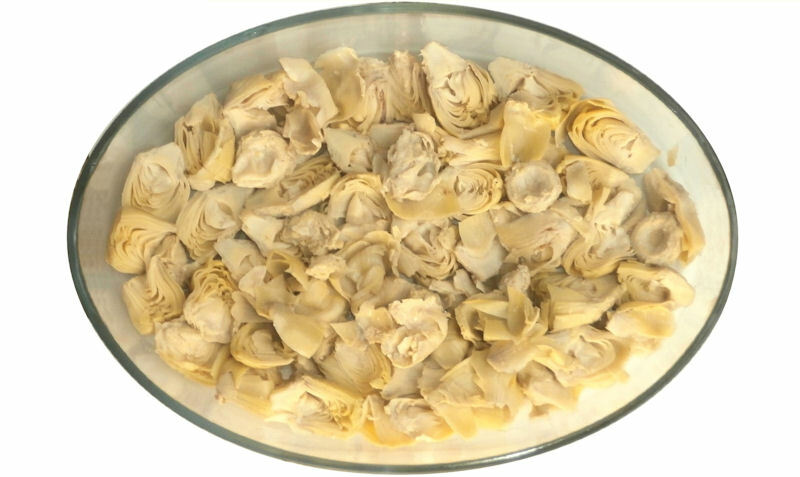 Cover the artichoke hearts with the cooked mushrooms, and push down on the mushrooms. 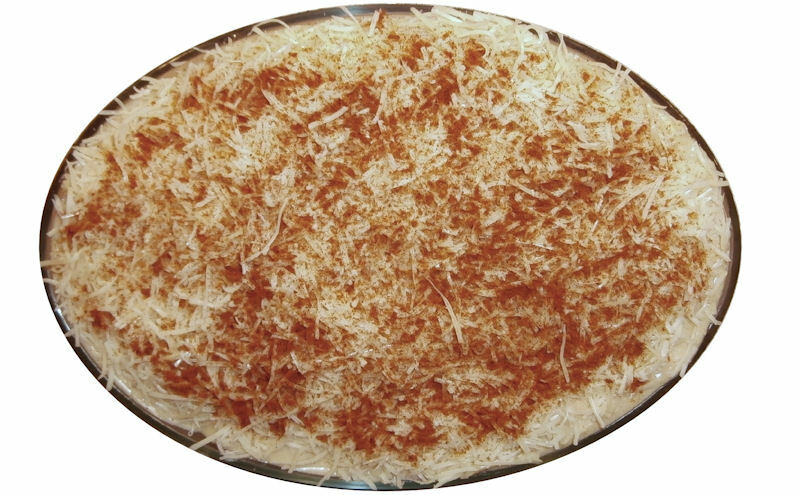 Sprinkle the paprika powder over the cheese. Serve with Basmati rice or a mix of Basmati and wild rice. The mushrooms can be cooked the day before . If you do: re-heat them in a frying pan or wok before putting them on the artichokes. ©1998-2017 F. Dörenberg, unless stated otherwise. All rights reserved worldwide. No part of this publication may be used without permission from the author.